The Buy American Hire American executive order signed by President Trump in April 2017 is having a massive impact on the American immigration system. The order, which was implemented with the expressed goal of “protecting US economic interests by rigorously enforcing and administering [U.S.] immigration laws,” introduced a number of key policy memorandums and subtle policy changes intended to tighten legal immigration through a number of common visa options used by those coming to the United States. Considering that all industries are becoming more and more globalized in 2018, the Trump administration’s goals behind the executive order have been called into question by immigration advocates, and by immigrants hoping to continue their work in the United States. But one thing is for certain: this executive order is changing the shape of many dependable visa options. 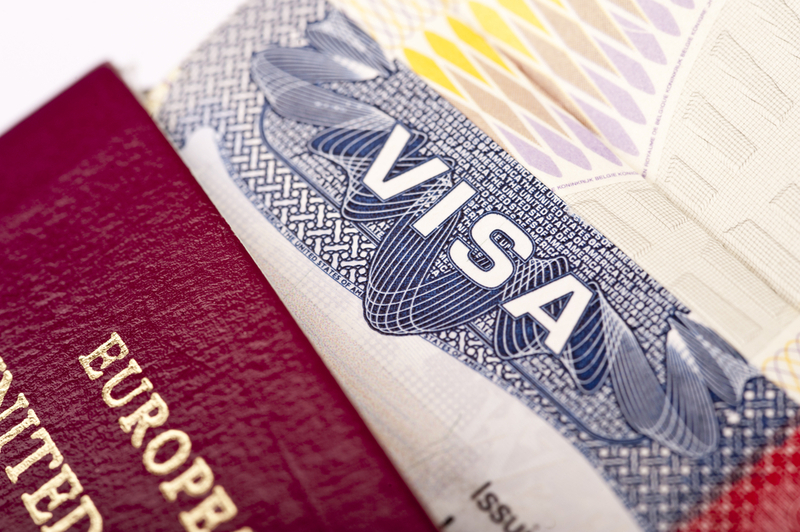 One visa option facing a number of new changes in particular is the L-1 Visa. What is the L-1 “new office” visa category? L-1 is a multinational/intracompany transfer-based visa category. In other words, it allows entities with qualifying relationships to transfer qualifying employees from a related foreign entity to the US entity in an executive/managerial (L-1A), or specialized knowledge (L-1B) capacity, with some additional strings. The L-1 “new office” visa gives entities established abroad one year to launch the new related US entity. In most cases, executives and high-level managers are the ones that come to the US to kick start US operations, as they generally possess the level of corporate and industry experience and knowledge and business acumen to successfully drive the US company. In most cases, the foreign entity invests significantly in the US entity with a five-year plan for the business to grow and expand once on its feet, including hiring Americans and contributing to the US economy. L-1 “new office” petitions are generally initially adjudicated by USCIS. USCIS will then adjudicate the petition for renewal towards the end of that initial one-year period. So, it goes without saying that USCIS can pull the plug on the US entity within a year if the company is not making good strides. Rather than giving foreign entities a chance, we are witnessing a significant increase in Requests for Evidence (RFE) and outright denials of L-1 “new office” applications, which effectively shut the door on foreign entities even getting into the US. In statistics recently released by the National Foundation For American Policy, the L-1A RFE rate was 34.7% in Quarter 1, rising to almost 40% by Quarter 4; and the L-1A denial rate shot from 12.8% in Quarter 1 to 21.4% by Quarter 4. That’s more than 1 in 5 executive/manager cases being denied. Once upon a time in a land that sometimes seems far far away, the standard was simply to establish that the new office would support the new US entity and the executive/manager or specialized knowledge position by the end of the initial year. Now it appears that the Trump administration views the L-1 “new office” category as a potential threat to American workers – from the beginning – by setting requirements that can be tough to meet, especially for smaller entities who are trying to keep their US operations a little more lean in beginning. What is their beef and how can we overcome? We are witnessing some common themes in the RFEs and denials. USCIS is comparing total operating expenses in the first year against funds being made available to the US entity during that initial year, so be careful to ensure the US entity is well capitalized, particularly if the US entity is not expecting immediate revenues. USCIS is asking why the specific business location was chosen and how the premises will be sufficient, so be sure to have a solid explanation. Unfortunately, a copy of your lease and some glossy photos of the new digs will no longer suffice, and don’t even go there with a virtual or home office. USCIS wants to see high-level responsibilities only for executives and managers. The slightest whiff that the beneficiary performs too many “day-to-day” functions, including customer service, will not suffice. More specifically, executives should clearly demonstrate how they are running the show – how they direct management, how they establish the entity’s goals and policies, how they exercise wide latitude in discretionary decision-making, and the extent to which they receive only general supervision or direction from higher level executives, board members, or stockholders. Managers of an essential function of the entity should clearly show how that function is critical and how they manage it by doing non “day-to-day” functions. Managers with supervisory responsibilities should show that at least some of these are professional employees holding bachelor’s degrees in a related field. They should also provide organizational charts and details on each employee, including their department, duties, and salary. They should also demonstrate how they control and supervise the work of these employees and how they have discretionary authority over key personnel decisions, such as hiring, firing, promotions, and termination. While the L-1 “new office” is under the microscope, it is still possible to get over the line with careful planning and professional guidance on these increasingly strict L-1 requirements. For nationals of countries who have a treaty with the US, the E-2 may be a better option, but it also comes with strings. The inevitable conclusion: consult with an experienced immigration attorney to canvass your options and to receive the best guidance in navigating the most appropriate visa application process. And be brave.